Kappa Phi Fraternity was founded on December 5, 1963, at the University of Missouri School of Mines and Metallurgy when the founders, Gregory D. Bachman, Davis M. Conway, James C. Cowles, Jerry L. Fortner, William H. Harwell, John Herold, John Hoog, Stephen E. Krieger, Edward T. Lillie, Ronald Martin, Gerard Memdel, Stanley Ricks, Donald C. Scarpero, Phillip Schutty, David N. Smith, Ronald R. Smith, David A. Spencer, and Gary Woodward, met with Norman Fishel, field secretary of Phi Kappa Sigma. It was Norman Fishel’s stated intention to form a colony of Phi Kappa Sigma on the MSM campus. Since the founders were at first in favor of becoming a colony of Phi Kappa Sigma, they chose, on December 9, 1963, the letters Kappa Phi, the first two letters of Phi Kappa Sigma reversed, as their official name. Because of the long school vacations for Christmas and semester break, the next meeting of Kappa Phi after December 9 was on February 4. At this meeting, the constitution of Kappa Phi was accepted. The Constitution included in its coverage the requirements for membership in Kappa Phi, the fraternity’s administration, the financial affiliation between the fraternity and its members, the conduct of the fraternity meetings, and necessary procedure for amendment of the Constitution. At the meeting of February 4, the fraternity’s faculty advisor, Kenneth G. Mayhan, was also introduced to the founders. At this time, he spoke to the founders on his views on the fraternity life and on scholarship. This was the first of several occasions on which he took the opportunity to influence the course of the fraternity. Since Davis M. Conway had been the president of one of the groups which merged to form Kappa Phi, Norman Fishel had suggested at the fraternity’s first meeting that Conway be accepted as the leader of the fraternity until (1) Conway requested that elections be held, (2) a majority of members requested elections, or (3) the first regular meeting of April 1964. Thus, on February 17, at Conway’s request, the first officers of Kappa Phi were elected. Elected to office were Davis M. Conway, Alpha (president); Edward T. Lille, Beta (vice-president); William H. Harwell, Sigma (secretary); Jerry L. Fortner, Pi (scholastic chairman); Gregory D. Bachmann, Iota (ritualist); Ronald Martin, Upsilon (extracurricular director); James C. Cowles, Psi (social chairman); Gary Woodard, Theta (sergeant-at-arms and house manager); and Stanley Ricks, Assistant Theta. On March 16, the founders accepted a policy on all men who as non-founders affiliated themselves with the fraternity before September, 1964. 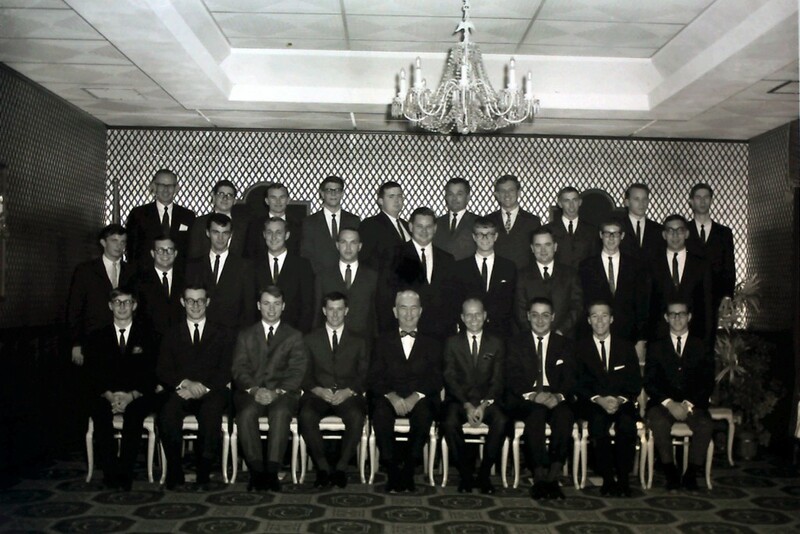 These men were to be known as tentative members and were to be allowed to attend fraternity until September, 1964. If they met the requirements of membership and were accepted by the founders, they would become active members. Those who did not become active members by September, 1964, would then become pledges. 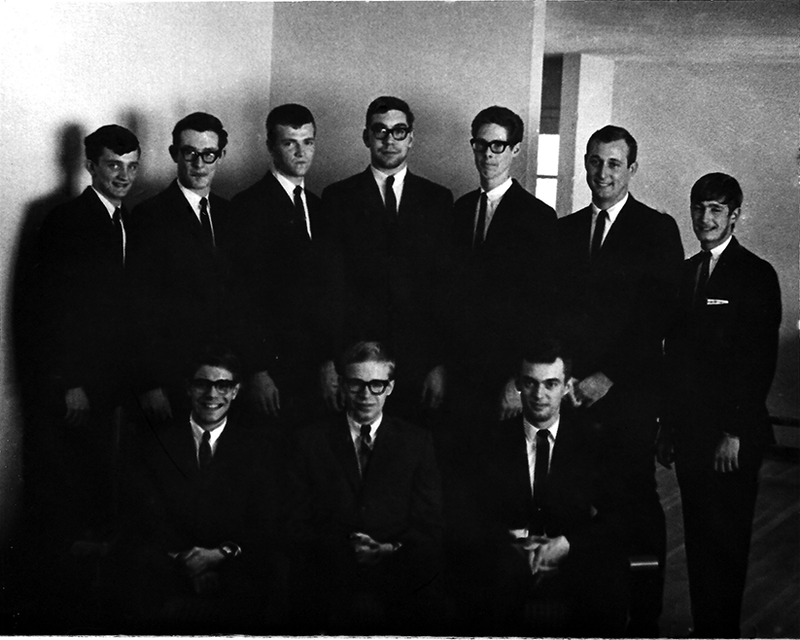 On October 19,1964, the fraternity formed the new office of Steward, known as the Gamma. This office was created to relieve the Theta of some of the responsibilities which his office included. Most of these responsibilities were involved in the maintenance of the fraternity’s house. Ronald R. Smith was elected to this office. At the meeting of March 2, a committee was appointed to secure a house for the fraternity. This committee consisted of David Spencer (chairman), Gary Woodard, Jerry Fortener, and Phillip Schutty. The housing committee proceeded after March 2, to set up a housing corporation and found a house which was suitable for the usage of the fraternity. 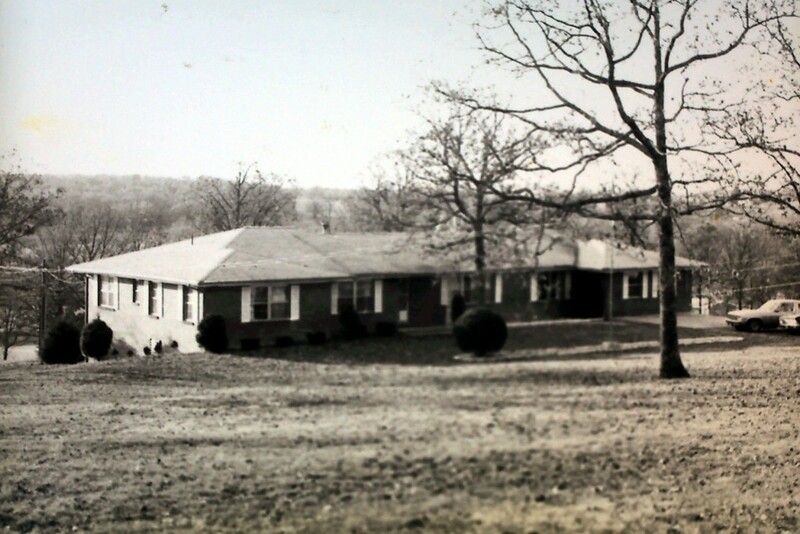 The house which was purchased was located on eight acres of land along Vienna Road. This property which included a pond, was located 1.1 miles from the MSM Electrical Engineering Building. The house itself, which was brick, had two floors containing 2500 square feet of floor space each, and was for sale at $35,000. The changes which were necessary in the house and the furniture originally bought raised that amount of initial expense to about $50,000. The housing corporation managed a long term loan of the house at 6.6% interest and vised changes in house and furniture purchases. Top: The front of the Shelter as it was in 1968. 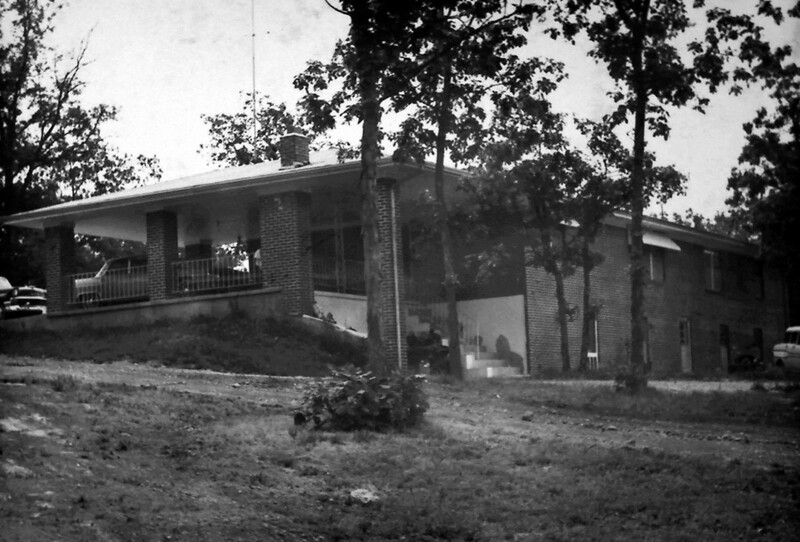 Bottom: The back of Shelter as it was in 1964. Although Kappa Phi was originally formed with the intention of eventually becoming a chapter of Phi Kappa Sigma, the founders soon became disenchanted with Phi Kappa Sigma’s lack of correspondence and support. They then began to look around and considered other national fraternities. In the Fall of 1964, a graduate student who was a member of Phi Kappa Tau Fraternity became interested in Kappa Phi and arranged to have a field secretary of the fraternity visit Kappa Phi. This visit precipitated the formation of the NFSC (National Fraternity Selection Committee), whose duty it was to choose several good national fraternities, correspond with them, and recommend to the chapter an affiliation movement. In addition to Phi Kappa Sigma and Phi Kappa Tau, the NFSC chose Phi Gamma Delta, Beta Theta Pi, Phi Delta Theta, Sigma Chi, and Delta Tau Delta as national fraternities to consider. On December 14, 1964, the NFSC recommended that a decision be delayed until three members of Kappa Phi could attend and report to the chapter on the national convention of Phi Kappa Sigma. In early February of 1965, Kappa Phi decided, upon recommendation of the NFSC, to petition Delta Tau Delta Fraternity for colony status. A letter of intent was dispatched immediately, and on April 10, 1965, Delta Tau Delta recognized Kappa Phi as an official colony. On May 10, while visiting Kappa Phi, Bruce Jones, field secretary of Delta Tau Delta, announced that Whit Smith, stationed at nearby Fort Leonard Wood, was to serve as Kappa Phi’s colony advisor and do all he had to expedite the acceptance of Kappa Phi as a Chapter of Delta Tau Delta. On December 10, 1966, Kappa Phi Fraternity was initiated into Delta Tau Delta Fraternity as Epsilon Nu Chapter, the 96th chapter to be initiated into Delta Tau Delta. The initiation took place at the Delta Omicron Chapter at Westminster College in Fulton, Missouri. Since its initiation, Epsilon Nu has consistently been among UMR’s academic leaders. It had distinguished itself in numerous organizations, perhaps the most well known of which is the St. Pat’s Board, on which it has had two St. Pats (presidents). In the Fall of 1986, Epsilon Nu celebrated its 20th anniversary with a banquet on Homecoming weekend. Many alumni returned for the joyous occasion. At the same time, a mortgage burning ceremony was held to celebrate the fact that the eight acres of land, and the house that was Kappa Phi’s first house, was paid for. Epsilon Nu’s intramurals records have not been the best ever, but a collection of trophies and plaques has been assembled, represented our triumphs over the odds. Epsilon Nu has received various awards from Delta Tau Delta (national) for programs, some recent ones include awards for excellence in website design, exceeding the All Men’s/All Fraternity Average GPA, excellent Honor Board practices, and outstanding Undergraduate Manual. Epsilon Nu’s intramural records have not been the best ever, but a collection of trophies and plaques has been assembled, represented our triumphs over the odds. Epsilon Nu has received various awards from Delta Tau Delta (national) for programs, some recent ones include awards for excellence in website design, exceeding the All Men’s/All Fraternity Average GPA, excellent Honor Board practices, and outstanding Undergraduate Manual. 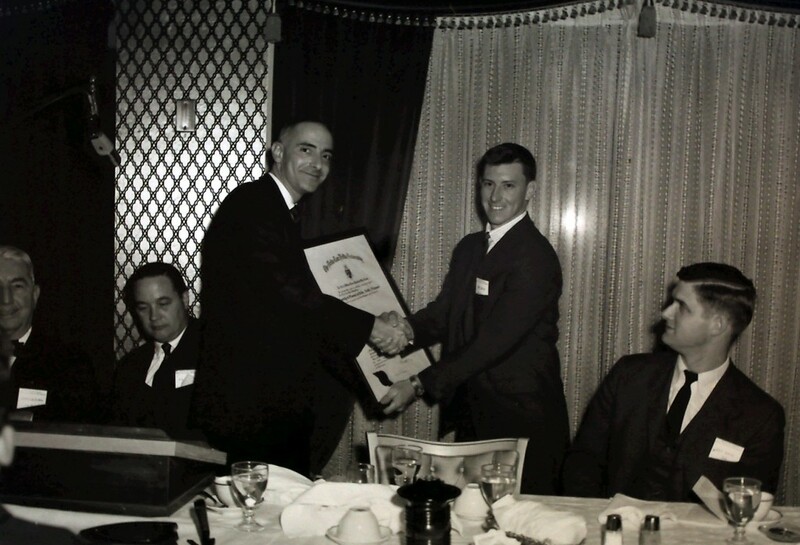 Epsilon Nu’s brightest moments include in 1991 when it received the Court of Honor award from the Arch Chapter for its overall performance in 1990. This award put EN Chapter in the top 24 chapters of 124 Delt chapters in United States and Canada at the time. This was the first time EN Chapter had received this award since the Court of Honor program was begun. Since then, the chapter has received a total of 5. Then, in 2000, 2004 and 2006, Epsilon Nu again received the highest award given to any chapter, the Hugh Shields Award for Chapter Excellence. This award is reserved for only those “chapters of excellence,” and only 10 are given every year.